Visions of the future are often constrained by familiarity with the present or reflection on the past. 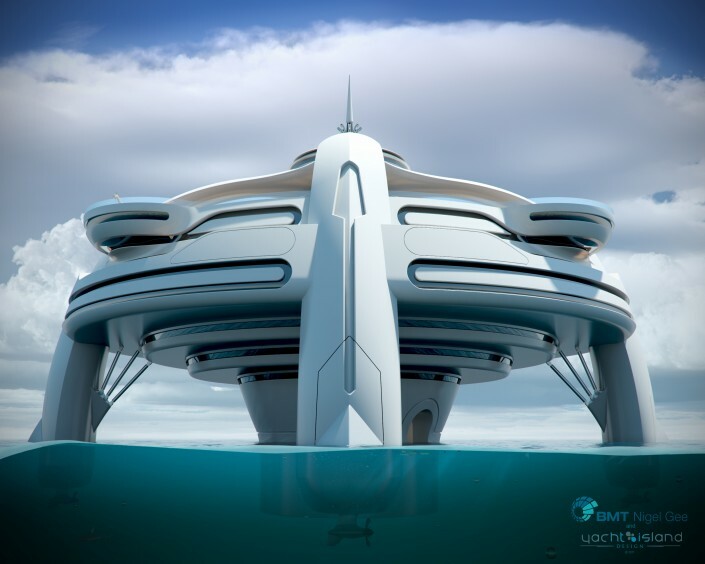 Project Utopia, a collaboration between Yacht Island Design and BMT Nigel Gee, is an avant-garde vision of a future concept free from such restricted thought. 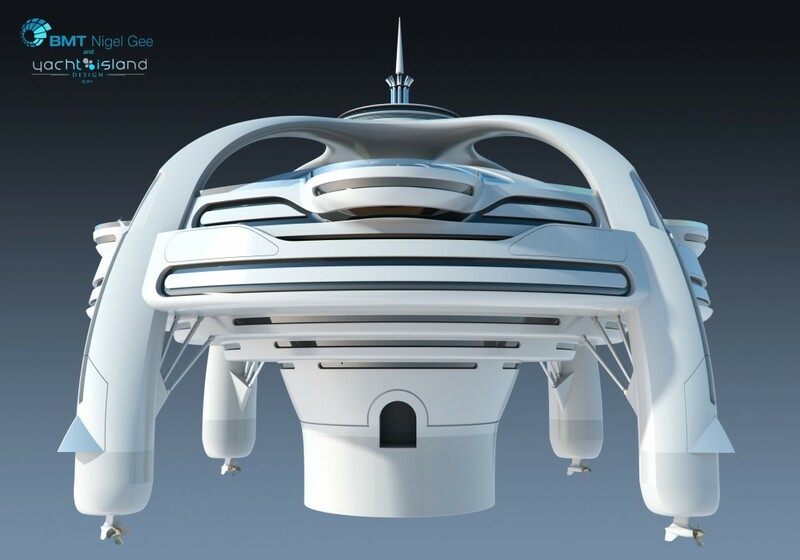 Before trying to understand the design one has to examine why the greater majority of yachts have evolved to the traditional form that has derived from millennia of engineering and naval architecture. Once the mind is free from these constraints the possible forms that a concept might take are wide ranging. Much is made in today’s design community of starting with a blank sheet of paper. 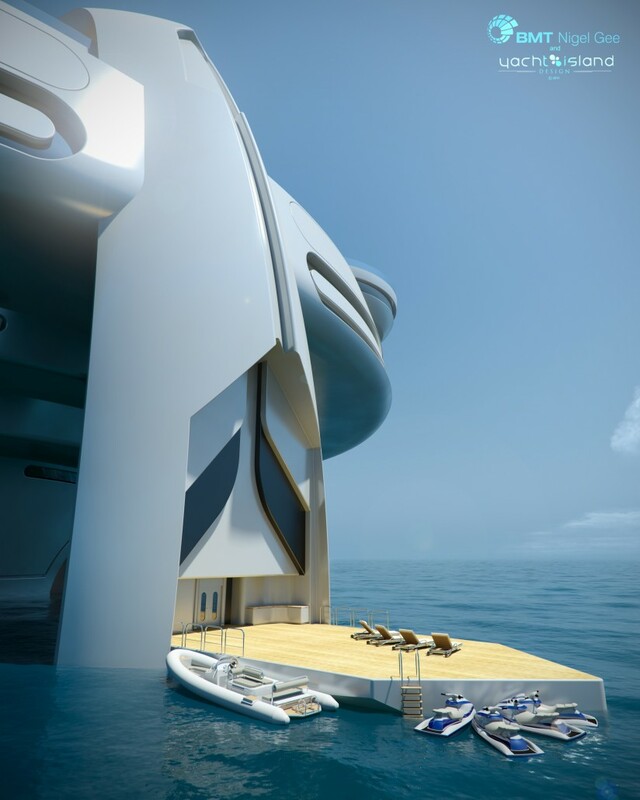 Yet many if not all yacht concepts revert back to that traditional form; the perception that a yacht should be a form of transport becomes an immediate constraint. Utopia is not an object to travel in, it is a place to be, an island established for anyone who has the vision to create such a place. 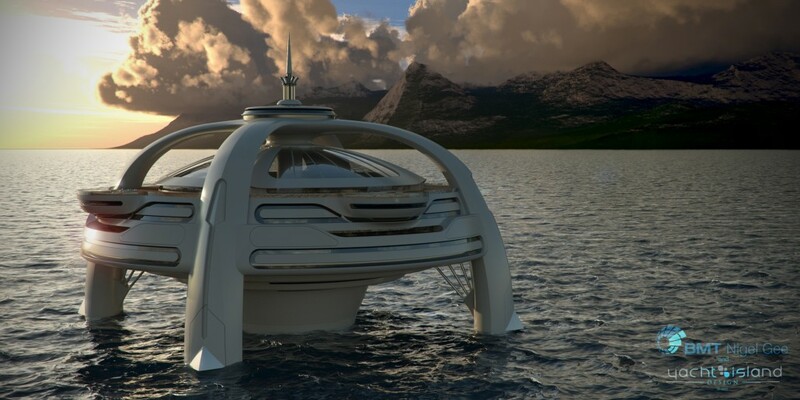 Measuring 100m in length and breadth, and spanning over 11 decks with the equivalent volume of a present-day cruise liner there is enough space to create an entire micronation. 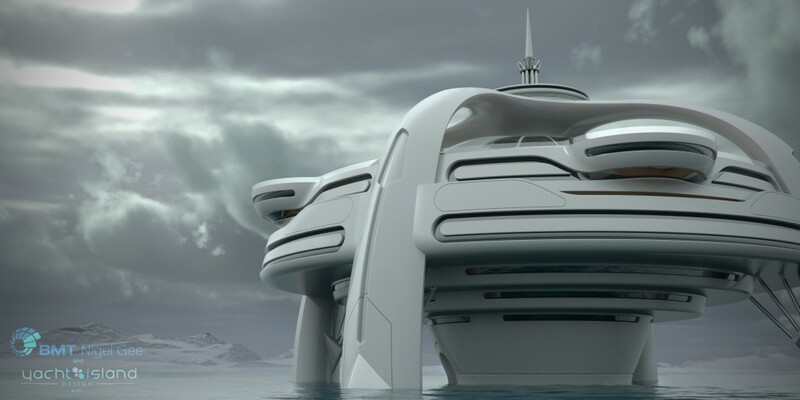 In today’s context Project Utopia might be viewed as a folly, an extravagant expression of architecture and form based on a perception of the future. The visionary will, however, be able to grasp the paradigm shift and see the future as being totally unconstrained. Key features • 100m x 100m in size, with the equivalent deck space of today’s cruise liners. • Space to create a bewildering amount of interior design options, such as a retail district, theatre, culinary zone containing an eclectic mix of restaurants and an entertainment zone featuring bars, nightclubs and a casino. 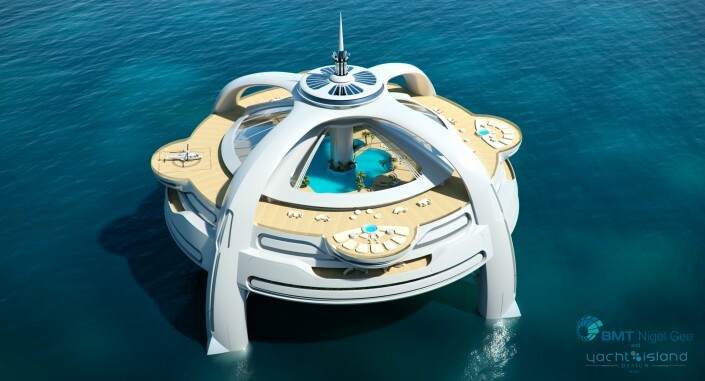 • An observatory deck with breath taking 360 degree views at a height of 65m above sea level. • A true architectural, and engineering masterpiece designed to present the smallest possible profile to the water’s surface.